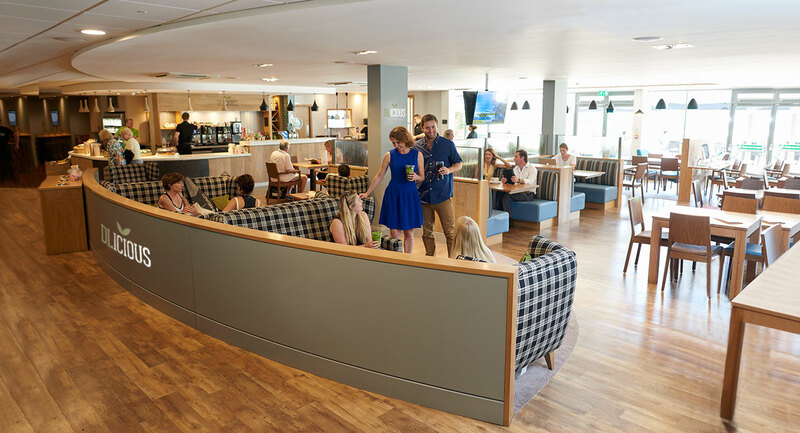 When you become a member of David Lloyd Clubs, you'll have access to our DLicious cafes and lounges where you can order from a variety of options on our DLicious menu. Whether you fancy a vibrant, crunchy salad, a hearty burger or you just want to grab a quick shake after an intense workout, our menu is guaranteed to have a dish that will get your taste buds tingling! Take a look at the menus online: Mainland Britain, Belfast and Dublin; read our blog post, or come into the DLicious cafe at your local David Lloyd Club to give it a try! Celebrity MasterChef winner Angellica tells us why she loves the new menu. Hundreds of our members submitted dishes that they'd love to see at David Lloyd Clubs and the two winning dishes are now featuring on the new 2019 spring/summer menu! Sarah-Jane's healthy, fiery Mexican Breakfast and Sam's tasty Halloumi Heaven are truly appetising and meat free too! It's really important to us at David Lloyd that we listen to our members who have told us they don't always fancy a main meal in club and would prefer some smaller plates to choose from. So, on our new spring/summer menu there are 4 new smaller dishes that really pack a punch! Choose from grilled chicken breast, grilled halloumi, smashed avocado or sundried tomato and basil lentils. To take a look at these dishes and all the options available, view our menus online: Mainland Britain, Belfast, Dublin. We change the menu twice a year, so you can't get bored! Our DLicious food is served in our DLicious cafes - a relaxing environment where you can refuel after an intense workout or come in with your family and tuck in to a meal together. With many of our cafes offering kids play areas, adult only areas, business hubs, themed events and quiz nights, there's something for everyone to enjoy. Contact your local David Lloyd Club for more information.